Our generations of experience have shown us the importance of surrounding ourselves with family and friends after a funeral service. But planning an event at your home, or trying to make dinner reservations for a large party, can be straining during a time of grief. During this difficult time, convenience is key. Families appreciate that everything can be taken care of in one location at Pearson Family Funeral Service & Cremation Center. Our beautifully decorated reception room serves as a warm and welcoming environment for family and friends to eat, embrace and share memories. 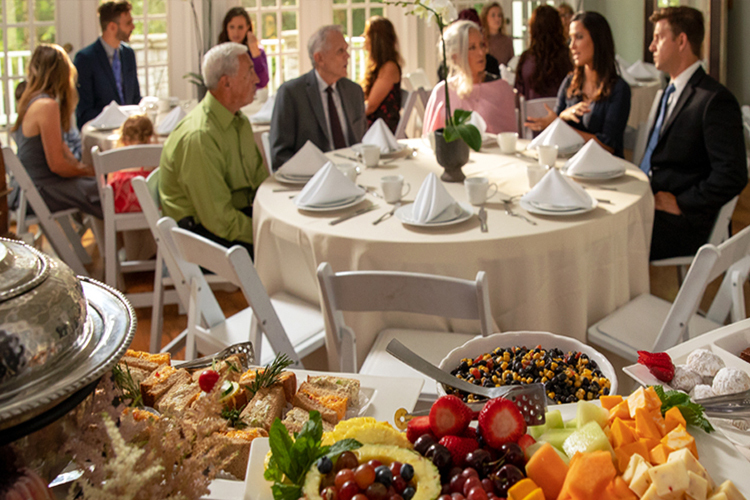 Our professional staff can coordinate with local caterers to create a memorable reception. If you prefer, we also have relationships with restaurants, country clubs, and other businesses in the area that can host the reception.